When the problem seems difficult or the choice is hard, relax — sleep on it! When the problem seems difficult or the choice is hard, relax — sleep on it! When I got the email from Arianna Huffington asking me to write for Thrive Global, I was extremely thrilled. I immediately rushed to my computer and started to think about what to write. A few hours later I still haven’t written anything. I realized it was so much easier to write about infectious diseases, outbreaks, and vaccines than to write something about stress and living well. Still with no idea on what to write about, I decided to sleep. You see, when I am in a situation where I don’t know what to do — I sleep! Whenever I feel stressed or worried about personal or work issues — I sleep. And for this particular incident, I slept and woke up with this idea of what to write. People who have known me in college / medical school / postgraduate school know that while most people stay up the night before an exam to study, I sleep. I need my 8 hours of sleep before an exam. I have been doing this since I was a kid and a bachelor’s and 4 postgraduate degrees later, it is safe to say that this has worked well for me. What does research tell us? Scientists in Germany showed that “sleep, by restructuring new memory representations, facilitates extraction of explicit knowledge and insightful behavior”. In other words, sleep inspires insight. They found that those with 8 hours of sleep were three times more likely to figure out a math test correctly. This publication was the first hard evidence supporting the common sense notion that creativity and problem solving appear to be directly linked to adequate sleep. Researchers at Harvard University and Boston College suggest that sleep plays a key role in determining what we remember — and what we forget. People strengthen the emotional components of a memory during sleep, which may explain why sleep spurs the creative process. 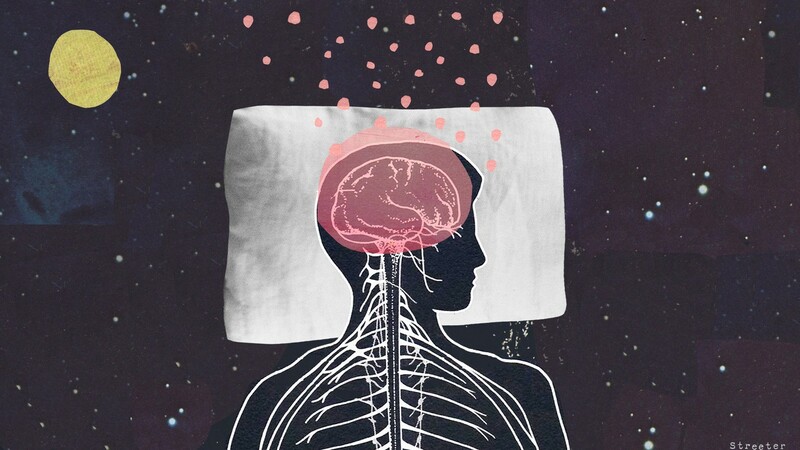 Sleep helps the brain come up with ideal solutions. Dutch researchers at the Radboud University found that distracting yourself for a few minutes or even better, putting off the issue (“sleeping on it”) helps the brain come up with the ideal solution, especially if it involves a complicated issue. Scientist at the Lancaster University in England tested whether sleep or time spent awake helped people solve problems. The sleep group solved more difficult problems than the other group, but for easy problems, researchers found no difference between the two groups. According to the researchers, their study showed that sleep can help the brain solve difficult problems. Sleeping helps the body cleanse the brain of toxic proteins. Researchers from the University of Rochester found that sleeping helps the body cleanse the brain of toxic proteins, which are byproducts of neural activity throughout the day. Although the study was done on mice, results point to a potential new role for sleep. Einstein (L) and Edison (R) rely on sleep and half-sleep moments to digest big ideas. Geniuses Albert Einstein and Thomas Edison have been known to rely on sleep and half-sleep moments to digest big ideas. Sleep is for more than just problem solving. Studies have shown the benefit of sleep over other areas of mental health. Scientists are still trying to understand all the mechanisms, but they have discovered that sleep disruption affects levels of neurotransmitters and stress hormones, among other things and impairs thinking and emotional regulation. On a personal level, I have found that sleeping on something helps to clarify the decisions I need to take. I am sure many people have experienced the same effect. When the problem seems difficult or the choice is hard, relax — sleep on it!